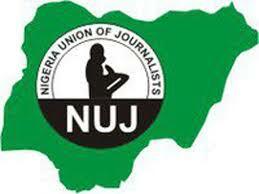 The Plateau State Council of the Nigeria Union of Journalists (NUJ), has threatened to boycott covering the activities of the Nigeria Army if the military does not stop the intimidation of its members and the public. The NUJ in a press statement signed by the Council Chairman, Paul Jatau and Secretary Peter Amine, decried the crude method the Army has employed, thereby, instilling fear and overheating the polity. It reads, “The Nigeria Union of Journalists (NUJ), Plateau State Council is concerned about the way and manner the Nigeria Army is going about its search for missing Maj. Gen. Idris Alkali (rtd). “The arbitrary harassment, intimidation and arrest of members of the public as part of their search is a thing of worry to the NUJ. “We expect the Army to conduct its intelligence and go after those they suspect and not arrest anybody in sight. The statement recalled that at the commencement of the evacuation of water from Dura Du pond in Jos South, the Army told the public that they have credible intelligence that the missing general’s car was in the pond and true to their word, the car was retrieved from the pond. 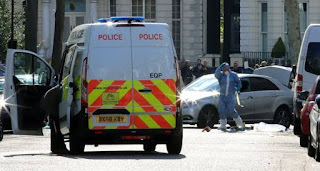 “We expect them to use the same intelligence they used to locate the car to go after the suspects as they continue the search for Gen. Alkali or his body. “We are perturbed because innocent people are not spared by the crude method they have employed thereby instilling fear and overheating the polity”, the Council lamented. It would be recalled that the Army had last Saturday in a statement, assured the public that they will exhibit high-level professionalism according to international standard in the search, but what is on display contradicts the assurances. “The same Saturday, a member of our Union, a reporter of the Punch Newspaper was arrested alongside other persons by the army and was detained for 28 hours in Rukuba Barracks as part of the search. “We wish to state unequivocally that while journalists support the search for the missing senior officer, indeed the Nigeria Union Of Journalists, Plateau State Council will not hesitate in withdrawing its members from covering their activities if the intimidation and harassment continues”, the Council warned.